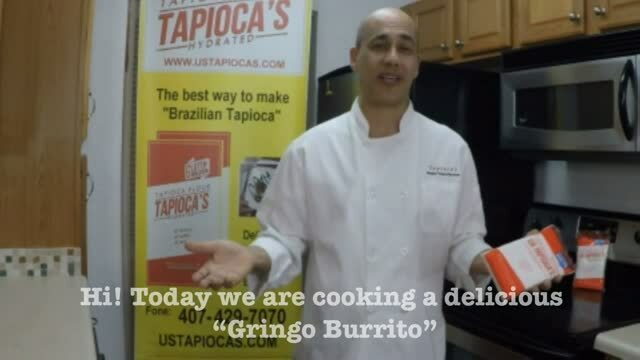 How to make "Brazilian Tapioca"
Tapioca is a traditional dish from Brazil. 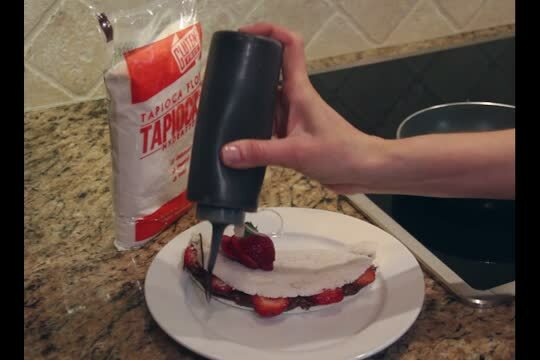 You can create a variety of delicious meals using these inventive crepe-like pancakes made with US TAPIOCA’S FLOUR (HYDRATED) combined with your choice of filling: cheese, coconut flakes, chocolate, fruits, meat, poultry, fish, eggs, etc. No additional ingredients are required. 1. Heat the pan (preferably an 8 inch non-stick omelet style pan) on high for 1 minute. 2. 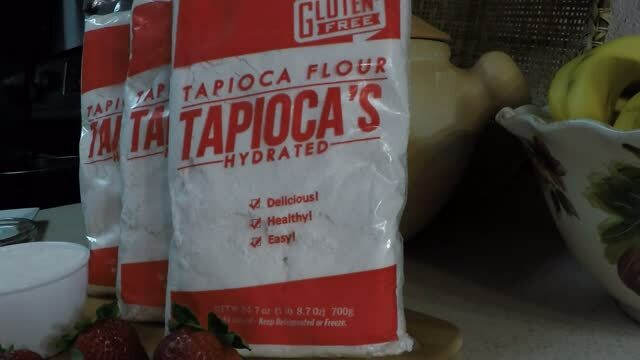 Reduce the temperature to medium and place 1/2 cup of US TAPIOCA’S FLOUR (HYDRATED) on the pan, then spread to make a thin layer circle in the pan to cover any open spots. 3. Then let it sit for 1 minute. 4. 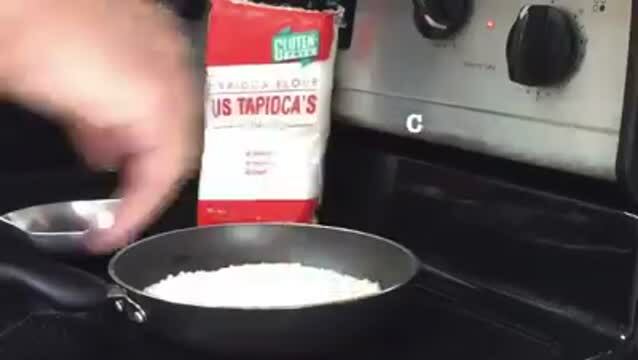 Flip the tapioca over. 5. Let that side heat for 15 seconds and your tapioca is ready.